I keep seeing these books in stores, and they look so interesting, but the reviews I have seen make them sound pretty complex. I.e., lots of work for the reader! New to me so thank you for this post. It sounds as though we had a very similar experience with this one. Loads of interesting ideas, but frustration at the lack of a plot. I highly recommend that you try The End of Mr Y as it contains all the best elements of Tragic Universe, but wraps them up in a fast paced plot. Scarlett Thomas is not an author I am familiar with. I am not sure I would enjoy this book, but I will definitely be looking to see what else she has out there. This is the first time I am hearing about Scarlet Thomas and her work. A lot of the points in your review of this book intrigue me, but I am not sure if I would be pleased with a plot that meanders so much. I think it’s worth trying though and because you say that this book causes it’s readers to speculate of about the fiction and religion and philosophy inside it, it might make for a really interesting read. I will have to hop on over to NetGalley and download it. Your review was excellent, as usual! @ rhapsody: Yes, this is definitely a book that the reader has to work at! It’s certainly not an idle book! @ Mystica: Glad I pointed you in the direction of something new! I hope you enjoy! @ Jackie: Yes, I think we did have similar reactions to this book; there was a lot to admire, but I wanted more story! I will certainly try out The End of Mr Y in the future! @ Stephanie: Maybe you’ll have more luck with Mr Y… I’m going to try it next and see if it is a better balance. @ zibilee: If you can get a copy through NetGalley, I’d say it’s well worth it because it is definitely not your run-of-the-mill novel. As I said, I don’t think everyone will like it, but it’s certainly worth giving it a shot to see if you might. Found your blog, what a gem!! Read this last month and love it, perhaps because it’s my first novel by Scarlett Thomas, but I hope to read The End of Mr. Y soon. This sounds really great — just the kind of novel I like to read. I like to read more traditional novels too, but experimental ones that are also fun can be exciting discoveries. @ JoV: Thanks for stopping by and commenting! 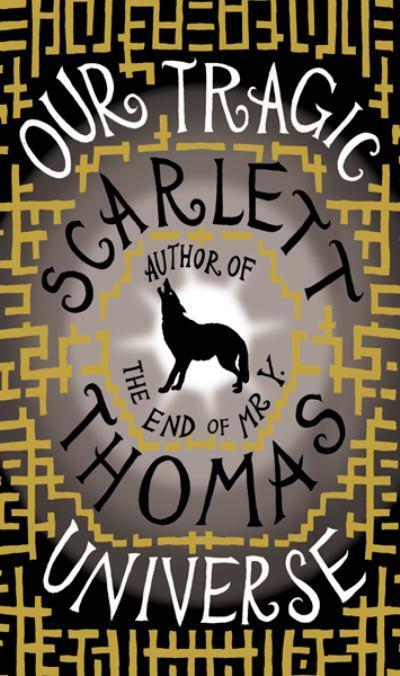 I’d really like to read The End of Mr Y after reading this one as well; Scarlett Thomas is certainly an author to watch (and read!). @ chasing bawa: I loved your review of this one, so you have nothing to apologize for! I’m not always known for being so brief, but I think I just couldn’t figure out a good way to summarize this novel in a halfway decent way, so this is what happened! I look forward to hearing your thoughts on Popco… It’ll be Mr Y. that’s next for me. @ Dorothy: I really do think this is the kind of novel you would enjoy. And I agree that traditional novels are perfectly good too, but it’s nice to have some diversity in one’s reading. I always enjoy having my notions about the novel and fiction challenged! Thomas seems to enjoy making her books an example of what she discusses, e.g. a storyless story or a thought experiment etc. The ideas which she explores in this book sound fascinating again, and that is what I really enjoy about her novels. Maybe this one is more to my taste as there is no realy über-funky plot to distract from the ideas? 🙂 But a friend warned me that this book is very esoteric, did you find that too? @ Bina: This is definitely very esoteric – I used the term “meta”, but yours is probably better. There’s a lot of discussions of existential issues and the like, so it’s really not something to pick up if you’re looking for funky plots! Funky ideas, though, are in abundance!